Blue Blood Rivalry TV is a weekly 30 min show airing every Thursday night. Hosts debate, discuss, compare and contrast all NCAA sports teams between Duke-Carolina athletics. The debate hits its pinnacle when the blues battle it out during their annual Blue Blood Rivalry matchups. The show will star Natalie Bode (UNC Pundit) and Cambria Haro (Duke Pundit). The conversation is moderated by Hassan Pinto (neutral host), who referees the debate and keeps the discussion moving. The pundits will give their unfiltered and passionate opinions pertaining to the biggest stories from that week and their thoughts about the upcoming weekend matchups! The co-hosts will be joined by regular guests and contributors that have a unique insight into that particular sport or topic. The show includes daily sports news, interviews with sports journalists, athletes and personalities, spirited debates, rumors and an assortment of other topics. In Episode 11, Natalie Bode and Hassan Pinto recap the NCAA Final and break down UVA's 85 to 77 win over Texas Tech for the National Championship. Natalie and Hassan discuss the Nike, Zion and Michael Avenatti payment scandal. They talk 2019 UNC/Duke basketball commits and prospects who are on the fence to choose either program. 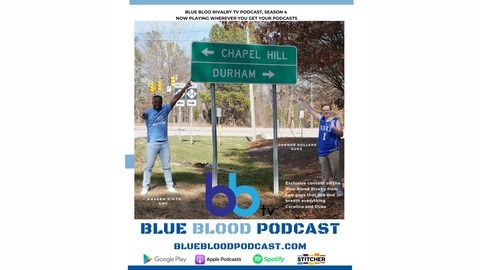 Finally, the Blue Blood TV crew talks about spring football, summarizing Duke’s weekend and anticipates next weekend in Chapel Hill. 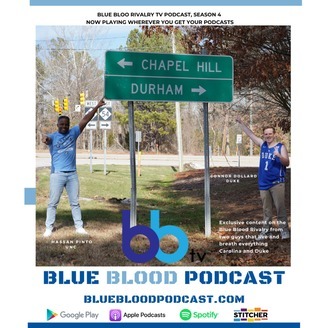 Episode 11 is now playing on all podcast distribution formats and Apple TV's Podcast service, simply search " Blue Blood TV Podcast" or Alexa, "ask AnyPod to play Blue Blood TV Podcast Episode 11."